← The Thirst Does Not Discriminate: Ray J & Kim K.
Is April the unofficial month for artists to put out bad music? 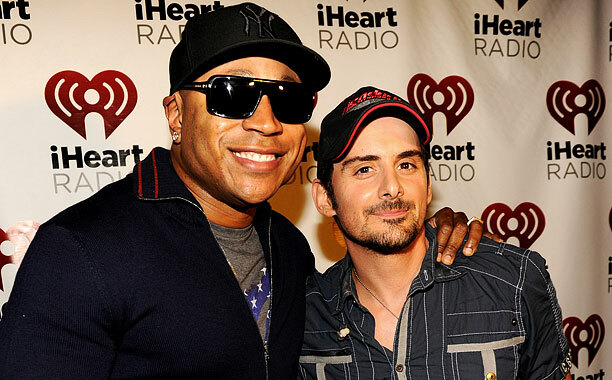 First it was Ray J, and now Brad Paisley and LL Cool J have teamed up to do their bid. Paisley and LL collaborated on a song called, “Accidental Racist.” Yes, you read that correctly. While I understand what they set out to achieve; they did a terrible job executing it. If you can get past the ridiculous title, and listen to the lyrics, you’ll begin to understand where I’m coming from. I cannot begin to fathom why anyone on either artists’ team would say this song was okay. Brad Paisley’s verses did not help in ridding himself of this “racist” persona he’s been associated with. LL Cool J’s verse is juvenile and child-like. Now, let’s go back to the title. Can someone please explain to me how you can be an accidental racist? People can make assumptions about you, and discriminate against you based on how you carry yourself. However, that doesn’t make you what they claim you are. When LL and Paisley were deciding on a title for this song, for some reason, they must have believed that it was worthy and made sense. It doesn’t. Someone should have explained to them that as the first introduction to this song, calling it Accidental Racist would be an epic fail! This song is just all around trash. I’ve read and re-read the lyrics, and at this point, I have a bad headache. LL says, “If you don’t judge my gold chains… I’ll forget the iron chains.” That doesn’t sound like a good trade-off to me. No one wants to be judged, especially not in this day of age, but you can’t forget history. You can’t dwell on it, but you should never forget it. One of Paisley’s lyrics read, “We’re still pickin’ up the pieces, walkin’ on eggshells, fightin’ over yesterday.” Why would white southerns be walking on eggshells? I’m not so sure I get the correlation. While these two lyrics stood out the most, the whole song is filled with absurdities. If you don’t believe me, take a listen and you be the judge. Posted on Mon.Apr.08.2013, in Entertainment and tagged Accident Racist, Accident Racist by Brad Paisley and LL Cool J, Accidental, America, Bad Lyrics and Bad Title, Bad Music, Brad Paisley, celebrities, collaboration, Confederacy, Confederate flag, entertainment, Entertainment & Music, Entertainment and Music, Epic, Epic fail, LL, LL Cool J, LL Cool J and Brad Paisley, music, Music artists, Paisley, racism, Racist, Racists, Ray J, Southerns, the South. Bookmark the permalink. 10 Comments. Lol!!! Wtf is this?! This has gone too far! Dead at LL rap line. Who would wanna cosign some ish like this?! Unacceptable. It is definitely unacceptable! I have no idea why anyone would agree to make this song. lol! What in the world were they thinking? Well, guess what, I’m accidental Puerto Rican! Hey,LL,stick to NCIS. This song is DOA. Blessings. They couldn’t have been “thinking” or else they wouldn’t have put this song out. lol! LOL! Yeah, it definitely deserves a righteous place in the WTF files. lol! I saw your blog on LInkedIn so I came to check it out! Looking like another great WordPress site! Someone HAD to force him! LOL!